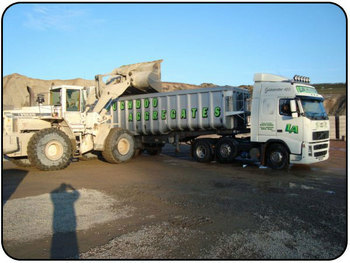 Loughdoo Aggregates (LA) started trading in 1991 with just three part-time staff. From these humble beginnings the company has continually expanded and we now employ 25 people. We supply sand, gravel and decorative stone and our quarry is highly renowned for its hard-wearing stone and our sand is very sought after in the precast concrete industry in which we have built up a reputation for supplying excellent products with a fast and efficient client service. As our business grew more land for quarrying was aquired and in 2005 we opened our new quarry and installed a new screening system and CDE treatment plant. 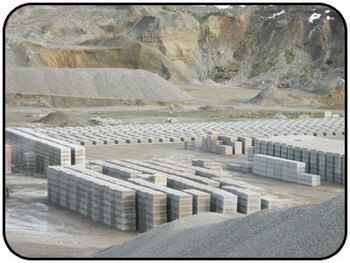 In 2006 we ventured into the concrete business and later that year we began making blocks. After a slow start we saw an upturn in trade and we realised that sticking to our principles of supplying a quality product at a realistic price was beginning to pay off. We then applied for the highly sought after "quality scheme for ready mixed concrete" award and received this in 2007 in recognition of our quality concrete. With the acquision of more land for quarrying in 2008 we our looking forward to supplying aggregates and concrete to our loyal customers for many years to come. 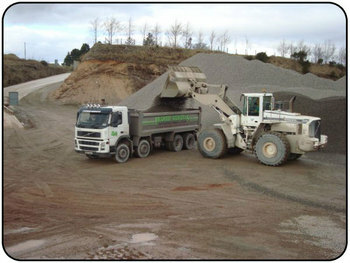 At Loughdoo Aggregates we also supply golf courses and playing fields throughout Ireland with aggregates for drainage for the improvement of these grounds such as at Dungannon Golf Club, Bundoran Club, Sligo race course and the new lough Erne Golf Club designed by top golfer Nick Faldo, to name just a few. We have also supplied many horse arenas throughout Ireland with different grades of sand. Products available include: ready mixed concrete, screed blocks and bricks, washed sand and gravel supplies, decorative stone and coloured pebbles for driveways and patios, all grades of sand for the sports industry. We also offer next day delivery and all Ireland coverage.